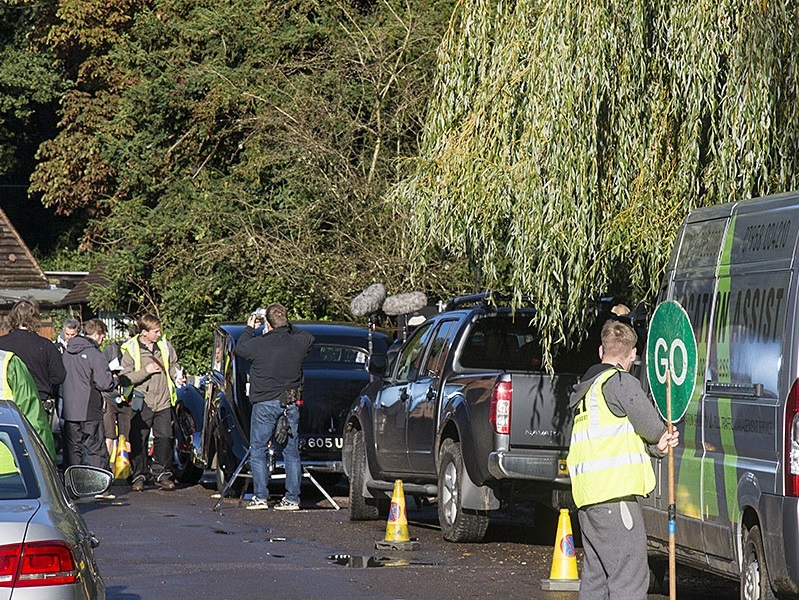 Numerous requests are received by Shere Parish Council from Production Companies wishing to film within the Parish. The Parish Council recognises the positive contribution that film production can make to the local area in some instances, such as enhancing tourism. The purpose of this policy is to set down certain parameters to ensure that there is a balance between the needs of the film makers, and the minimising of disruption to the local community. Details of initial points of contact are included. Given written notice, such as a letter drop, at least seven days prior to the first day of being on location. Details of special effects, overnight lighting, use of replica firearms and impersonation of the Emergency Services should be included. The Production Company personnel are visitors and should be sensitive to the community in which they are working. All neighbouring residents and businesses must be given no less than seven days notice of filming by letter or personal visit, and letter drops must contain telephone/e-mail details for a named contact within the Production Company. Noise must be kept to a minimum at all times. Separate permission to make noise during unsociable hours must be obtained from Guildford Borough Council. Use of generators has to be approved, and silent running generators may be requested. All members of the Production Company and its associated workforce are to behave and dress appropriately at all times. Sensitive locations, such as the War Memorials and Churches require particular adherence to respectful code of conduct. Access to private property must be maintained, and no footways or roads blocked unless with permission from Surrey County Council, and an alternative safe route must be provided with disabled access. Lighting, cables and other equipment must not cause a hazard to the public. Production vehicles must park where agreed (contacts for alternative locations in the Appendix) and not cause problems to traffic circulation e.g. on double yellow lines, bus stops, unless a copy of permission from Surrey County Council has been received. Refreshments must be taken in the agreed location and catering facilities agreed in advance. Removal of refuse is the responsibility of the Production Company (contact Guildford Borough Council). The Production Company must make good any damage and leave the locations clean and tidy. Security staff should be used, if appropriate, to protect the location and equipment.